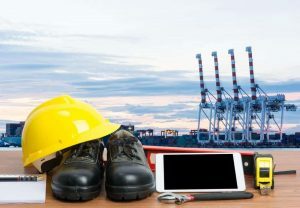 Safety boots are highly recommended for tough working environments like construction sites and even in the factory, but often times the steel toe is a little too heavy. It is also something to get used to and many people aren't comfortable with wearing it. We have decided to look at the best composite toe boots. These are not only designed to keep you safe, but they offer some additional comfort to keep you from experiencing any level of pain. 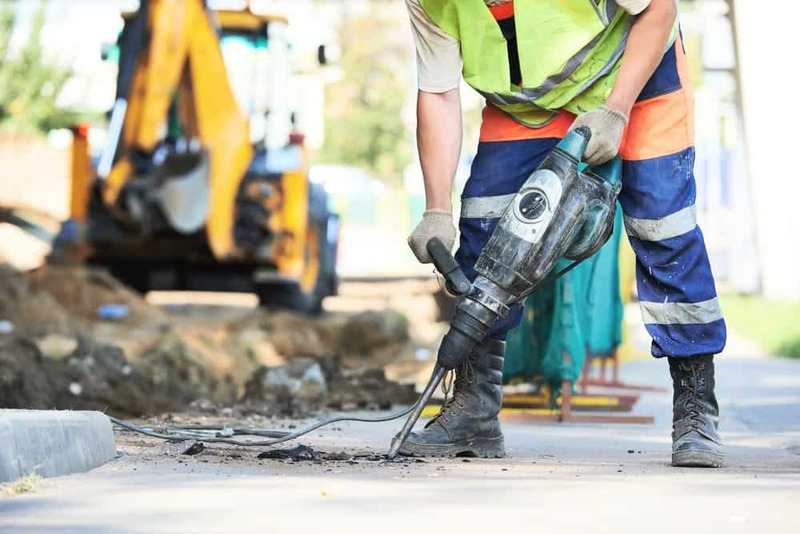 Since comfort is something we all need in footwear, it should definitely be one of the main considerations for work boots. 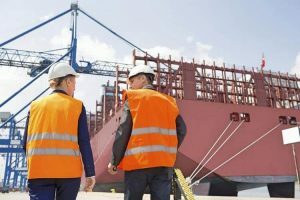 KEEN is one of the top brands when it comes to any type of work boot and since all of their footwear is crafted in the USA, it adds another level of trust. The KEEN Utility Men's Davenport Mid WP Construction shoe features a mid-cut design, which is perfect for ankle support but gives that added edge and taste of style. The boots have been constructed from synthetic and leather materials, which ensure optimal durability, but also keeps the weight low. The outer sole is constructed from rubber and it features lug patterns with additional rubber on the inside. With this combination, the chances of slipping are greatly reduced. We have tested it on a wet and oil-riddled surface, with the only bad surface being ice. The dry waterproof membrane is also perfect for keeping water out and makes this shoe 100% waterproof. Inside, you will find a PU cushioned midsole for added comfort, but if you feel like adding additional memory foam, the large size should be perfect. No metallic materials were used in the construction of the boot and the composite toes are asymmetrical for better comfort in each foot. KEEN is quite an expensive brand and it should come as no surprise that these boots aren’t the cheapest you could find. We do generally trust KEEN and would still highly recommend this boot for its comfort, but the style should also match any wardrobe. The Timberland PRO Men’s 90665 Work Boot is next on our list and it has been constructed from premium grade leather. This leather construction ensures that the boot will last you multiple years in terms of durability. The boot is quite large at the opening and this has been cushioned to ensure extra comfort. With the ankle-high design, your ankles are protected and the PU cushioning provides decent comfort on the inside. PU is not the best cushioning and you might need to break in these shoes directly after buying them. We also love the rubber outer sole. It is made from top grade rubber and instead of large lugs; it features multiple smaller lugs that offer superior grip. We are not sure how this boot performs on oil surfaces, but it handles water with ease. The composite has also been tested to be ASTM compliant, which should give you optimal safety. This boot is also rather expensive and this might drive away many buyers, but we would buy a pair if we worked in construction or outdoors. The boot might be a little heavy, but this can be seen as more security for your feet in terms of safety. Skechers is a very affordable brand that still offers quality but is great for the general worker. The Skechers for Work Men's Vostok Comp Toe Boot features a stylish black leather design. The boot is exceptionally durable for the price and the wider design also makes it ideal for those with larger feet. The boot features a non-metallic steel toe that has been ASTM approved for the safety and dangerous working zones. 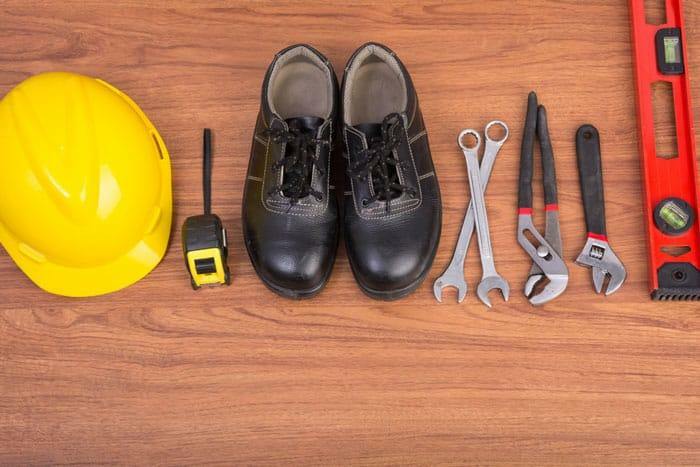 It has also been tested for electrical conduction and without metallic materials, you should be able to wear these shoes during your electrical jobs. With larger lugs and deeper grooves on the outer sole, you should not have any troubles when it comes to slippery environments. A red quarry tile was used to test the slip resistance of the boot. We also fell in love with the flexibility of the shoe and should you need to go down on your knees, these shoes will bend with you without breaking in any way. The comfortable inner sole will help reduce the strain on your feet and keep you going all day long. As for the price, these boots are really affordable and Skechers has built a reputation for their affordability. We would highly recommend this boot as an affordable option for anyone working in construction or the factory. The only downside is the lack of being waterproof. Featuring an extremely stylish design, the Carhartt Men’s CMF6371 Rugged Waterproof boot is designed to last. The boot is made from 100% pure premium grade leather and features a flexible, yet still durable outer sole. This boot just optimizes overall durability and style. The rugged design has been treated to be waterproof and this enables you to trek through virtually any environment, but with all these features, they have still managed to ensure the boot is also really lightweight. It is also worth noting the inner sole offers 5 layers of comfort and the Ortholite inner sole is generally recommended for foot problems. The composite toe is also extremely lightweight, but the boot is also a little oversized. This means that you might even consider taking one size smaller to ensure you have the optimal fit. Carrhart is generally known for correct sizes, but the extra space might also be ideal for those with bigger feet. This boot is not overly expensive and the price seems to be perfect for all of the features. The boot is also slip resistant and the larger lugs on the outer sole are quite comfortable to be in all day. If you manage to find the ideal size and fit, this boot should be one of your favorites and last you many years. We would certainly recommend them for the comfort and the style. As one of our favorite brands, we had to include a Thorogood boot. The Men’s American Heritage 6-inch Safety Toe Lace-up Boot is the perfect choice for us. The boot is designed from premium grade leather for exceptional durability, but the synthetic outer sole is not the best for oil surfaces. On the water, the tests of this sole proved perfect and it made it through without letting any accidental slips occur. In the midsole, you will find rubber and while many choose EVA, the rubber is much more durable and also helps to absorb some shock. With a lightweight composite safety toe, you should not have any troubles in terms of safety. The toe is also quite light and this reduces the overall weight of this already heavy boot. We also like the inner liner, which is capable of wicking away moisture with ease and provides the resistance to any possible abrasions. Unfortunately, the boot is quite narrow and stiff. This means that people with wider feet might need to consider a bigger size. We also found the boot to have an extensive break in period that might not be ideal for long hours. These boots are certainly some of the most expensive, but they are made in the US by one of the most reputable companies. The exceptional durability should give you a few great years and the comfortable inner sole molds to the shape of your feet. If you need durability, we would certainly recommend this boot to you. Bates is not the most popular brand, but with the Men’s GX-8 Comp Toe Side Zip Boot, they have certainly created something that is exceptional. The boot has been designed from a combination of leather and fabrics. This gives it somewhat decent durability, but you might still run the risk of tears after longer use. The synthetic outer sole is quite thick and comfortable. It also features a unique lug pattern that definitely helps you when trekking through water and oil surfaces. The addition of the side zipper makes these boots a dream to put on and take off, but this also runs the risk of water entering and your feet becoming wet. To help with this, the inner liner is designed to wick away moisture and keep water from getting inside. It also helps reduce the risks of any possible abrasions that might set in. If you are looking for something lightweight, yet still safe, this should be the perfect boot for you. The fabric adds to the lightweight design, while the composite toe keeps you safe and also helps to reduce the weight when compared to many steel toe designs. The boot is surprisingly affordable, but we do question the fabric materials. The fabric does allow them to sell the boot in more colors and if you like a lighter color, you will have the option of choosing it. This boot is not the best for construction but should be perfect for indoor and factory work. Last but certainly not least, we have the Danner Men’s Vicious 8-inch NMT Work Boot and this boot features an extremely stylish design. The boot is constructed from premium leather and it has also been tanned. This tanned feature ensures that the leather doesn’t get hard, which helps you maintain the boots for longer. The leather design is something we love and matches virtually any wardrobe. The outer sole is made from top quality rubber and it features a softer and flexible feel. If you are on your feet all day, the softer rubber will come into play and help absorb some of the shocks that you are sustaining on your feet. 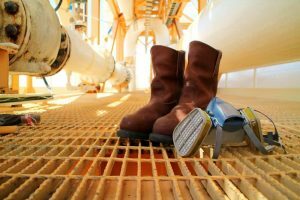 These boots also fully waterproof and the outer sole has been tested on water and oil surfaces. Finally, the boot also includes a lightweight TPU shank. This offers exceptional support without compromising the weight. Gore-Tex has been used for the inner liner, ensuring you are free of any abrasions and it also keeps moisture from seeping in. It is also worth noting that the midsole is EVA and molds perfectly to the shape of your feet. These boots are also really expensive, but they have some of the best technology that you could find. Many people claim that the boots lasted them for more than 3 years and the leather never lose its durability. We would definitely recommend these boots to any working man and this can be used for construction or farms. The durability is fundamentally important and this greatly comes down to the construction and the materials that have been used. The leather is the best material for work boots and it is quite durable as well, but might be a little pricey to buy. If you find synthetic or fabric, you could reduce the cost, but you will also give up some durability. Since we are looking at the most comfortable work boots, the weight is something to keep in mind. If the boots are too heavy, you might not have great success when it comes to reducing fatigue. A lightweight boot does not mean it is less durable, it only means that the boot is more comfortable to work in. 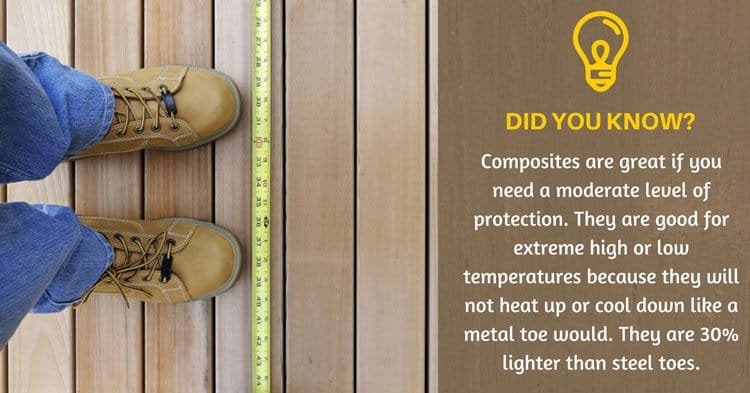 Metallic is not ideal for electric situations and if metallic is used in the composite toe; you might not have the ability to walk through electrical hazards. We highly recommend looking for non-metallic construction as it makes the boot so much more multifunctional. The outer sole is fundamentally important for work. We generally recommend rubber with larger lugs as this ensures that you will not slip. Rubber also offers some more flexibility to the shoe and this should give you the opportunity to bend your knees without your toes getting hurt in the process. We generally believe that any work boot should be waterproof. If the boot is waterproof, you could have so much more functionality. In the case of leather, it means the leather has been treated to keep water out, but other fabrics have also been proven waterproof. We would just like to mention again that leather is the most durable material you could find. The inner sole directly corresponds to the overall comfort of the boot. PU cushioning is used for most boots, but it does need to be broken in. if you are looking for the maximum amount of comfort and an inner sole that molds to the shape of your feet, you should consider EVA or memory foam. Lastly, you should consider looking at the overall design of the boot. If it is stylish we would highly recommend it as you will be able to wear it with virtually any wardrobe, but practicality is also fundamentally important. These are the 7 main features that perfectly go with the 7 most comfortable composite toe boots. They might not all be included in your boot as this will drive up the price significantly, but if you have them in your boot, you will have maximum comfort, durability, and the best possible value for your money. Since we have tested all of these boots and found them to be really effective, we would like to recommend them all as the best, but there was one that stood out and looked exceptionally well. We have decided that the D﻿﻿a﻿﻿nner Men's Vicious 8 Inch NMT Work Boot offers the perfect combination of the features we are looking for. The boot might be a little expensive, but if you are looking for the best, you must also be willing to pay for it. We would also like to thank you for reading this article and we do hope that you have found the best composite toe boots for your needs. Please let us know in the comment section below if you think we might have missed any of your favorites and we will be sure to check it out for you.